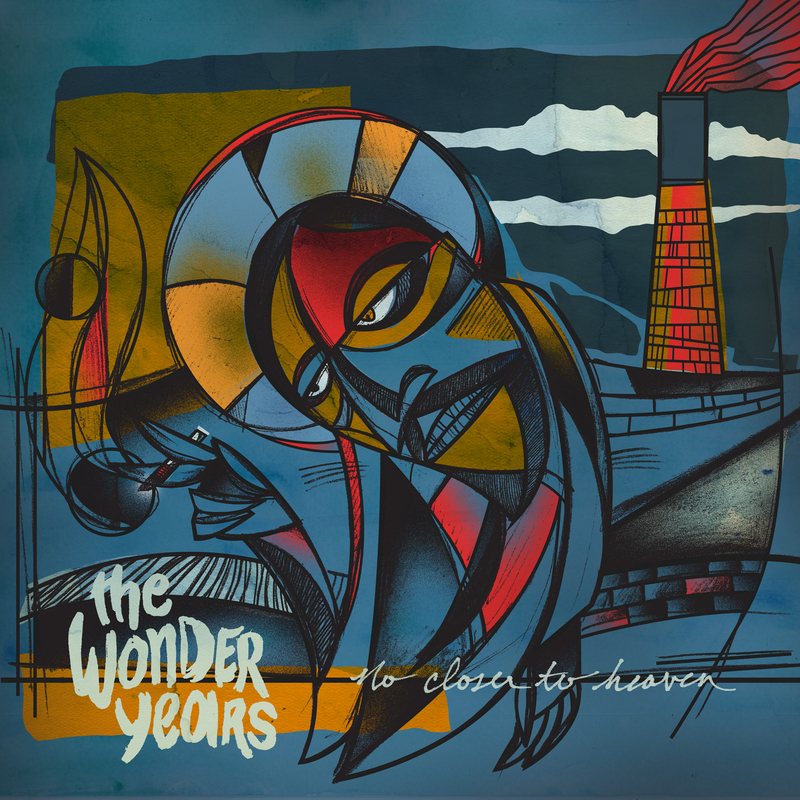 ‘No Closer to Heaven’ is the highly anticipated fifth album from the band billed as the leaders of pop-punk, The Wonder Years. After releasing a trilogy of albums, The Upsides, Suburbia I’ve Given You All and Now I’m Nothing and The Greatest Generation, fans were left wondering what the band could possibly do next, to upstage the albums that shot The Wonder Years into the forefront of the punk scene. Then of course, The Wonder Years came along and blew everyone out of the ballpark with ‘No Closer to Heaven’. The lead single ‘Cardinals’ sets the tone for the whole album with its melancholy words and soulful guitar riff at the beginning which bleeds into something powerful and moving. After listening to it for the first time, it is almost certain that each person was left with the phrase “I’ll never let you down again” haunting their ears. The music video for ‘Cardinals’ is rife with desperation and, although simple and done in one shot, is a perfect match for the raw power of the song. As a fan of The Wonder Years’ music videos, I have to say that it definitely lived up to the hype. This album is thematically different to anything The Wonder Years have done before. They have created something much more reflective and dark by withholding a bit of the teen angst and turning it into something like adulthood angst. Taking the time to appreciate the lyrics in each and every song is like uncovering gems one after another. The lyrics are really and truly what elevates, a good pop punk album with catchy one-string riffs to an incredible work of art with the power to make its listener really feel something resonate within them. The tracks on ‘No Closer to Heaven’ seem to follow a pattern musically, starting off soft and quiet and slowly swelling into a large wave of sound that clings to the skin long after listening to it. The album is clearly thought through and cohesive but still manages to hold on to the rawness of a new band that most veterans in the industry seem to lose. Daniel ‘Soupy’ Campbell does not disappoint on vocals, delivering lyrics on par with any song from Brand New. The true emotion of each and every song (especially ‘A Song for Ernest Hemingway’) does not relay Campbell’s self-proclaimed writing block in 2015 at all. His compelling voice stands out especially on ‘Thanks for the Ride’ and pulls the listener in from the first track down to the very last thirteenth track. Fans of pop-punk will not be disappointed as the Philadelphian band hit every note and beat perfectly and unapologetically setting the tone for the next couple of albums by other punk bands, showing the span of The Wonder Years’ influence.